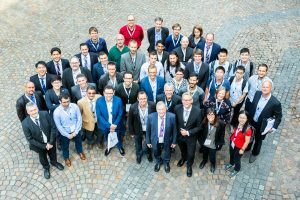 The 2nd European sCO2 Conference was held at the Gesellschaft für Simulatorschulung mbH (GfS) and Kraftwerksschule eV (KWS) in Essen, Germany, on 30th-31st August 2018. 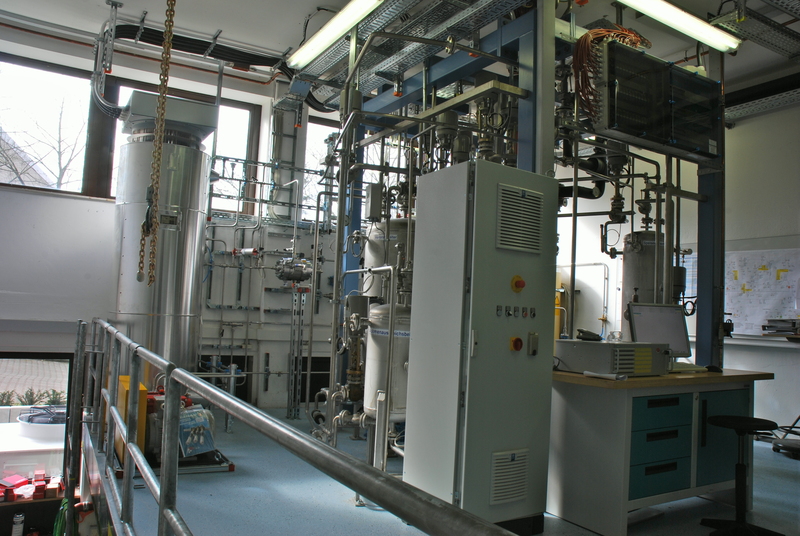 It has been planned as a meaningful and long-term extension of the 1st European Seminar on Supercritical CO2 (sCO2) Power Systems which was held in Vienna in 2016. Thus, the conference was dedicated as the final conference of the sCO2-HeRo project, and supplied a professional forum for sCO2-related presentations from sCO2-HeRo members and external participants. The conference was focused on research in sCO2 fields, conducting a peer-review of papers / presentations in three thematic sessions: i) Heat exchanger / Heat transfer; ii) Compressor / Turbine / Generato r; iii) sCO2 cycles and their applications. 20 presenters showed their recent work to an international audience of about 55 participants from science and industry mainly from Europe, but also from the USA and China. 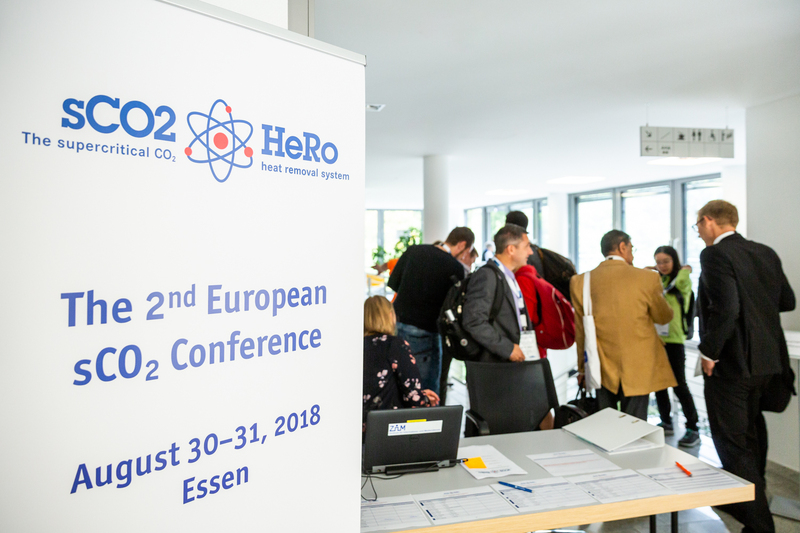 The sCO2-HeRo consortium intends to install a European sCO2 Conference according to the American counterpart ASME which is held every two years. 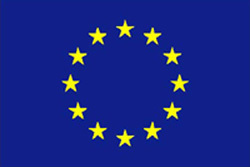 In future, the European sCO2 conference shall therefore be planne d alternately to the American counterpart. 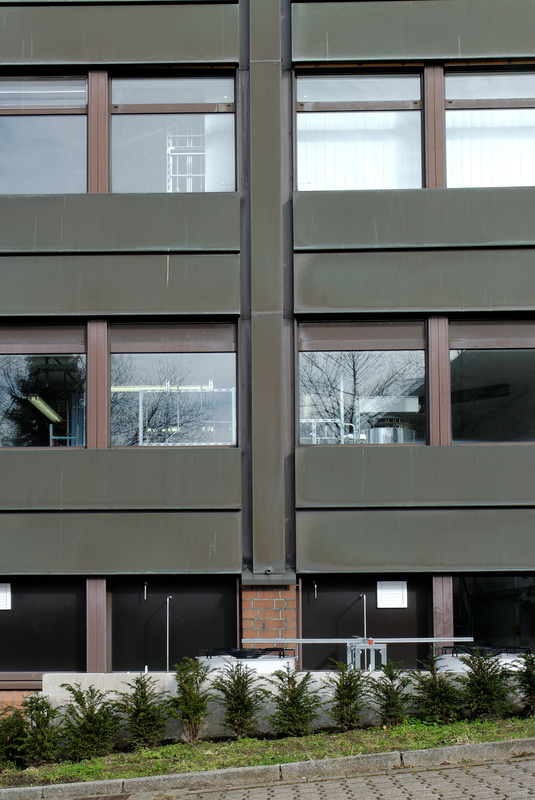 The papers were published via DOI here. 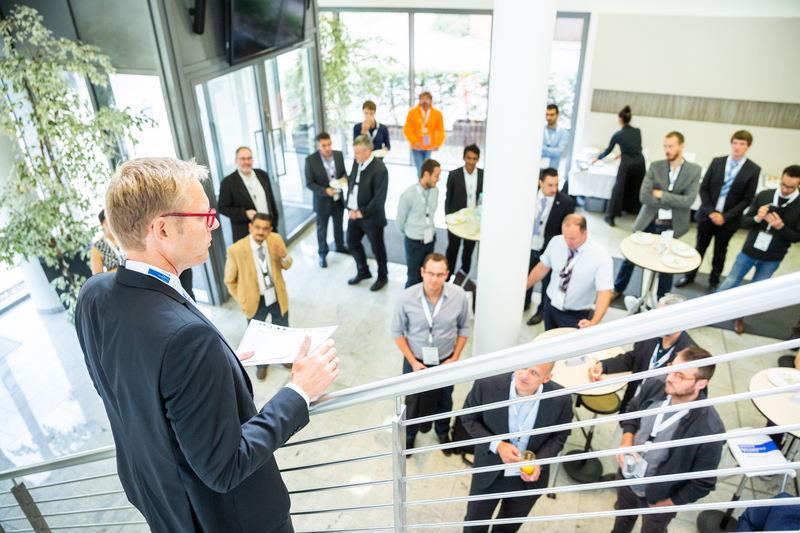 The presentations are available for download here. 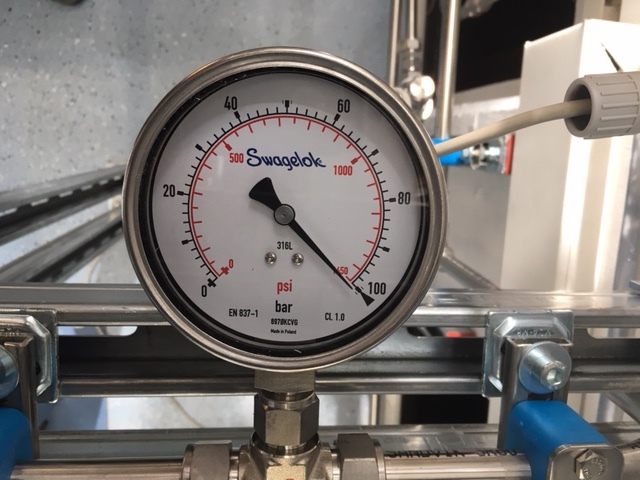 On 29 May 2018, the TÜV Nord in Germany has checked and certified the newly installed sCO2 loop at the glass model! The loop is safe and the pressure test was successful at 130bar. 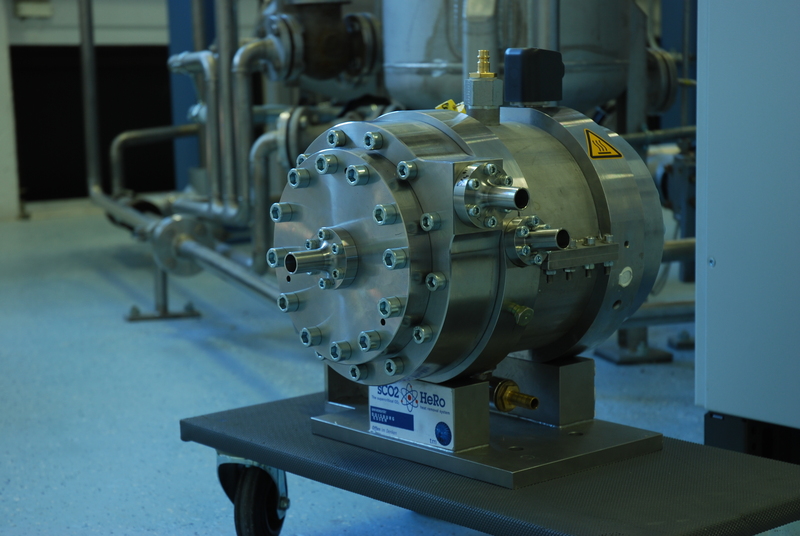 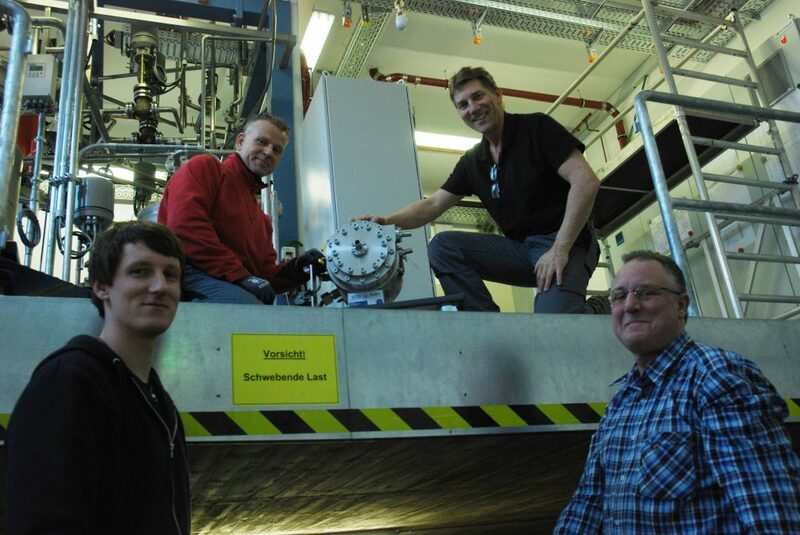 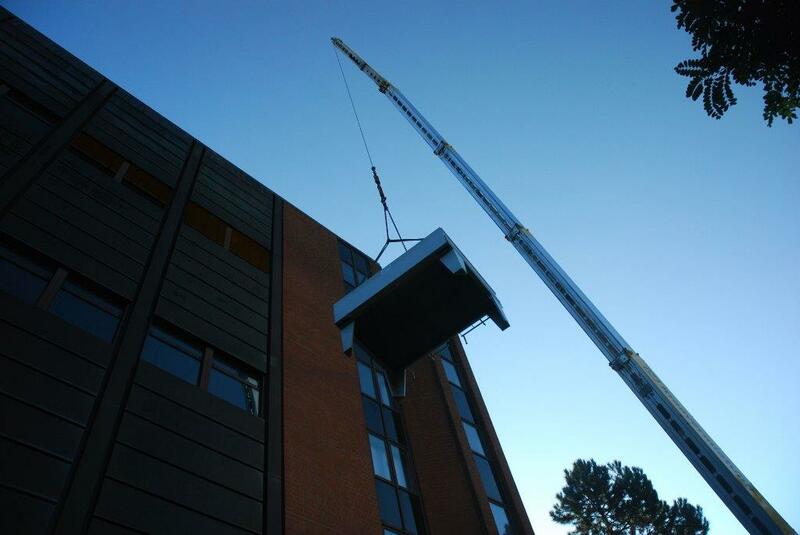 The turbomachine set has been tested at CVR and delivered to GfS, ready for installation into the glass model. 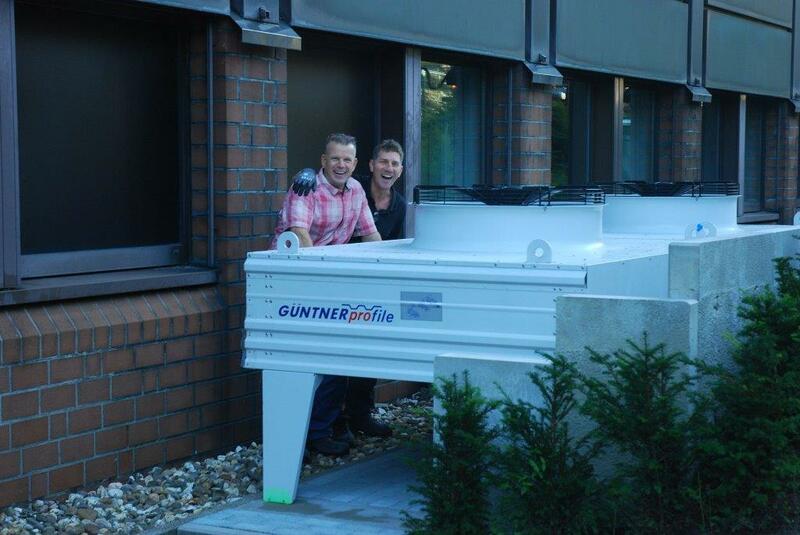 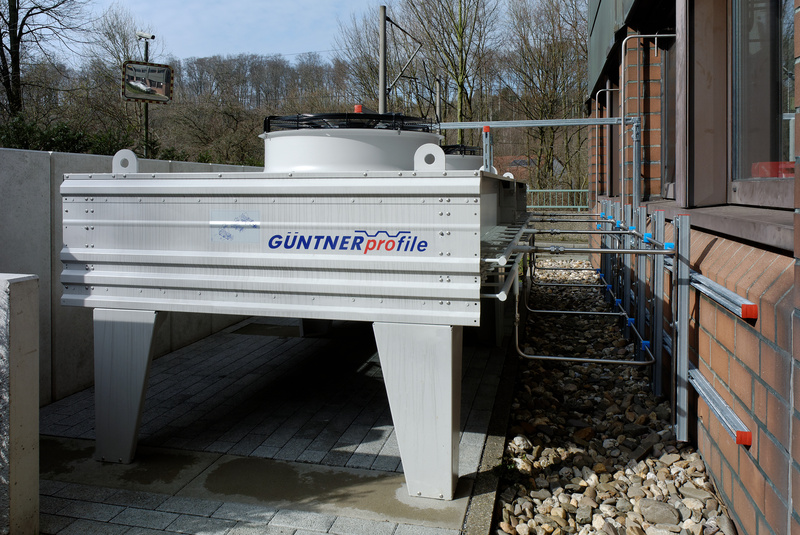 The sink heat exchanger has been delivered to GfS in Essen and has found its place at the outside wall of the glass model. 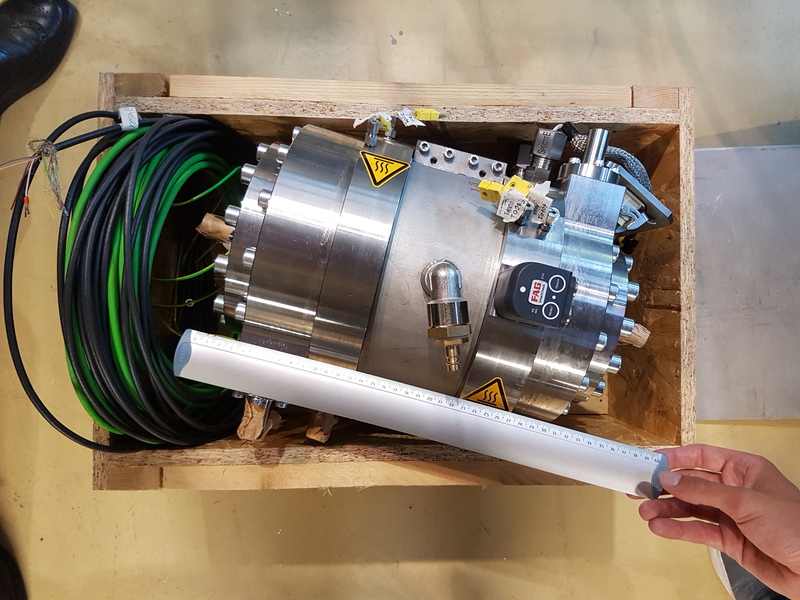 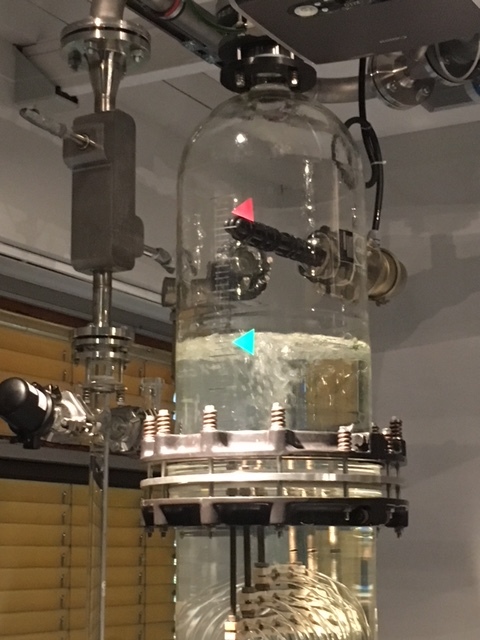 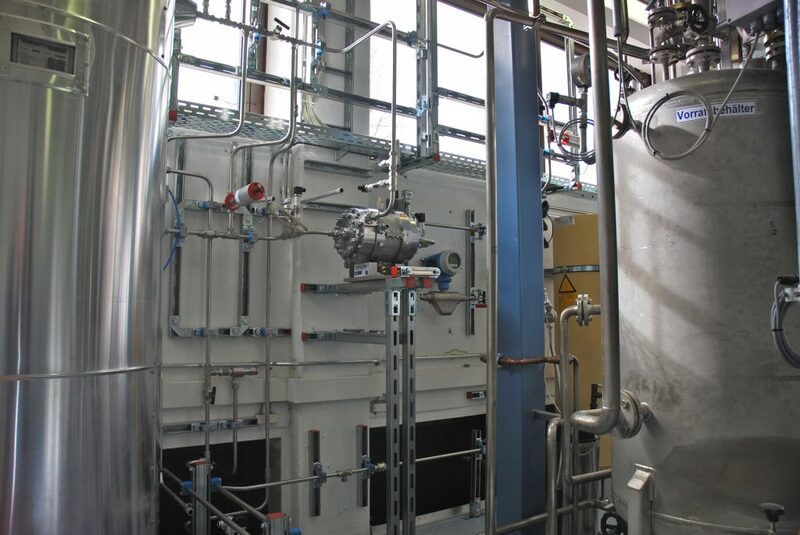 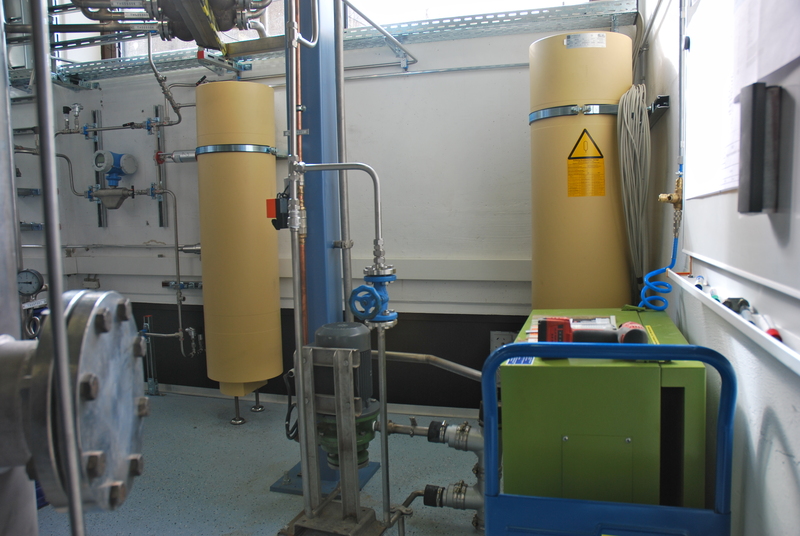 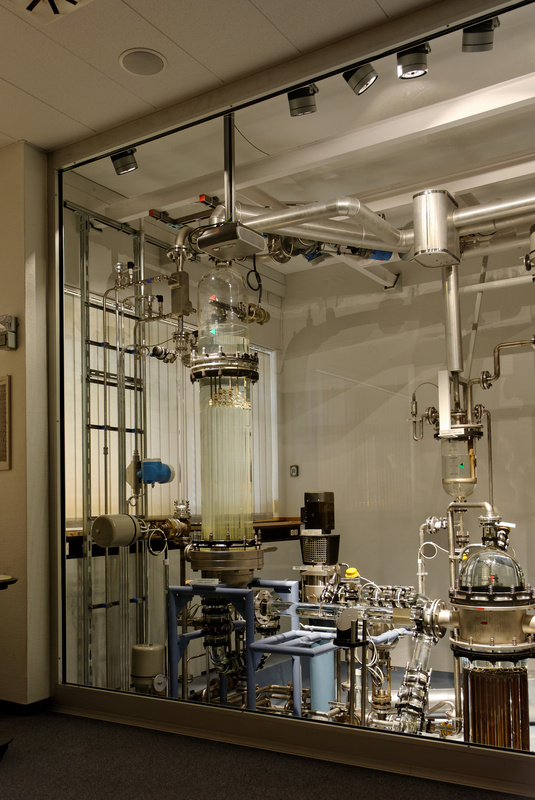 The compact heat exchanger, designed and manufactured by the University of Stuttgart (USTUTT), has been successfully installed at the glass model at GfS in Essen and is now tested for its functionality. 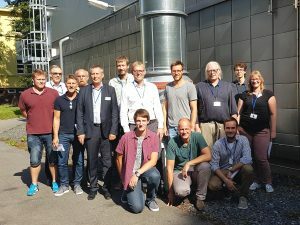 The sCO2-HeRo team from CVR organized a sCO2-HeRo Workshop that was held back to back with the sCO2 Summer School at CVR. 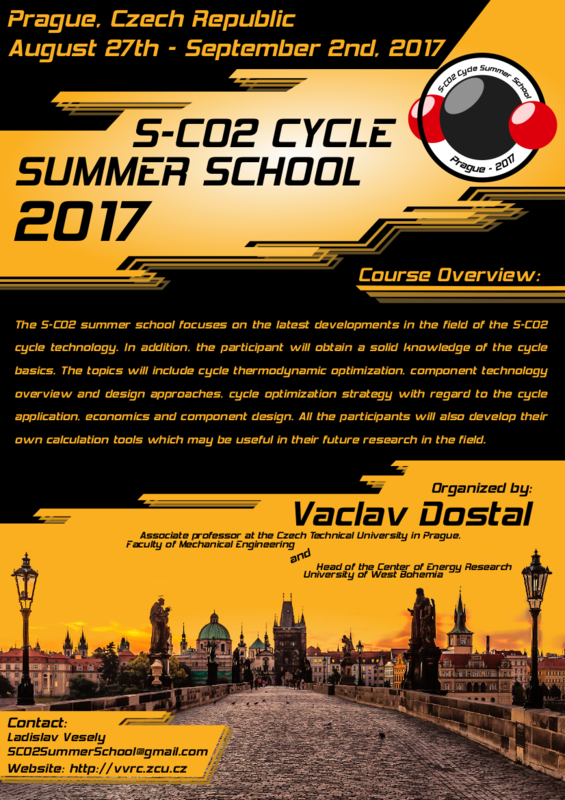 The workshop took place on 1st Sep 2017 and was open to interested students from Europe and abroad (find here the sCO2-HeRo Workshop flyer). 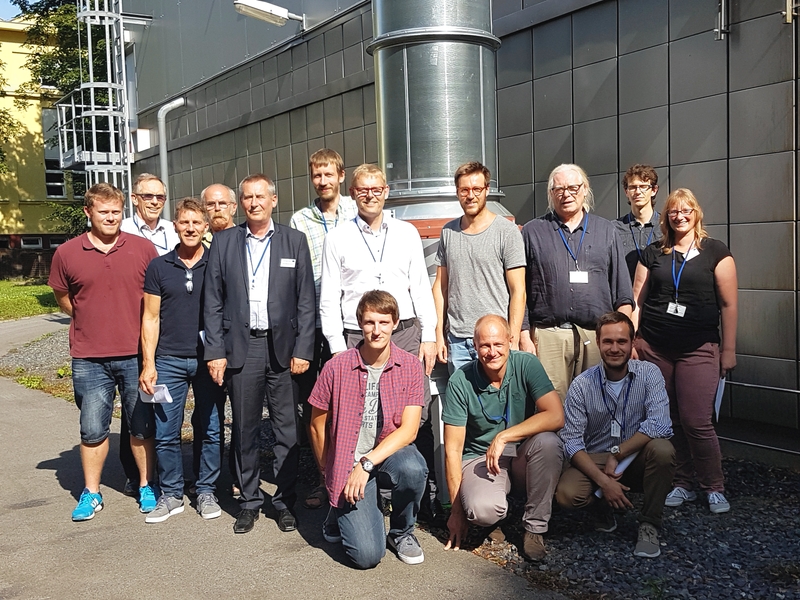 During the Summer School, interested students were teached on the latest developments in the field of sCO2 cycle technology, with special focus on the SUSEN loop at CVR. 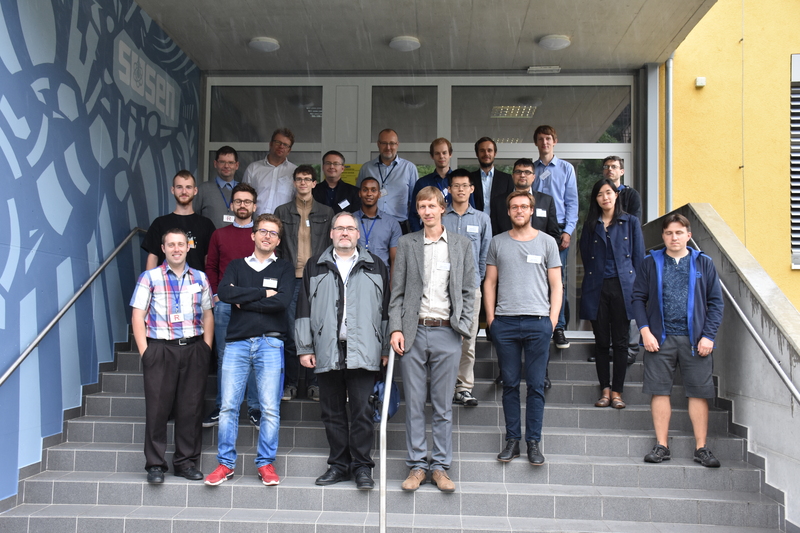 The sCO2-HeRo team met for their 2nd year project meeting in Řež, Czech Republic, hosted by CVR. The meeting focised on the development of a test program at GfS. 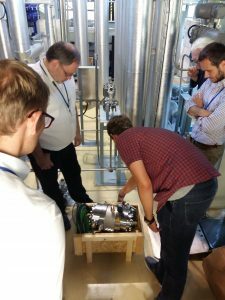 The Advisory Board members gave advise on questions to be addressed when it comes to attracting regulators and operators of NPPs. In addition the partners visited the CO2 experimental loop SUSEN (SUStainable Energy), which is has been slightly modified for tests of the heat sink and the turbomachine. The turbomachine, manufactured by UDE, has been delivered to CVR in July 2017 and will be tested at CVR’s sCO2 loop SUSEN in August.